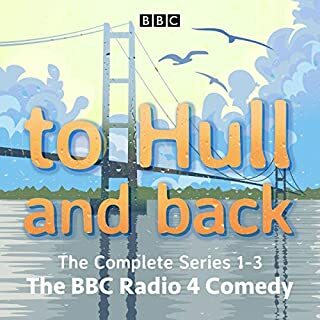 The complete second series of the BBC Radio 4 sitcom about an alien invasion of a small village, starring Hattie Morahan and Charles Edwards with Peter Davison and Jan Francis. When the small Buckinghamshire village of Cresdon Green is invaded by an alien race called the Geonin, the local residents come up against Uljabaan, the smooth-talking leader of the aliens. 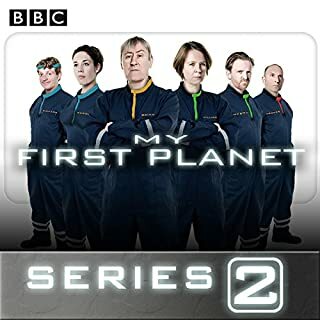 Nicholas Lyndhurst and Vicki Pepperdine lead the cast of the BBC Radio 4 sci-fi sitcom set on a shiny new planet, as it returns for a second series. With the leader of the interplanetary colony expedition dead, his Number 2 - Brian - is now in charge. He's a nice enough chap, but his desire to sort things out with a nice friendly meeting infuriates the colony's Chief Physician Lillian, who'd rather everyone was walking round in tight colour-coded tunics saluting each other. Travel deep under the surface of the sea, as the officers and crew of HMS Goliath invite you to share in 'Deep Trouble'. 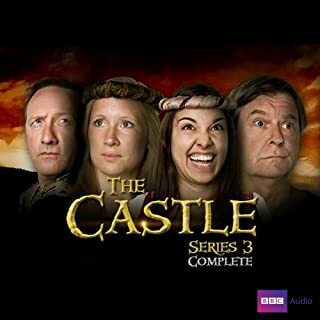 Hie ye to 'The Castle', a rollicking sitcom set way back then, starring James Fleet ('The Vicar Of Dibley', 'Four Weddings & A Funeral') and Neil Dudgeon ('Life Of Riley').In the first episode, De Warenne is in trouble as an official enquiry into the Crusades gets mixed up with a Talent Competition and a Dragon of Mass Destruction. Plus embroidery gets a right dissing. Next, Sir John grapples with both an adulterous affair and a tin of pilchards. The episodes are “Taking Overs”, “Minimum Volume”, “Power Block” and “Little Green Lights”. Welcome to Our Village, Please Invade Carefully is written by Eddie Robson (That Mitchell and Webb Sound, Newsjack), and stars Hattie Morahan (Outnumbered, Critic's Circle & Evening Standard Theatre Awards Best Actress), Julian Rhind-Tutt (Green Wing, The Hour), Jan Francis (Just Good Friends, Emmerdale), Peter Davison (Dr. Who, A Very Peculiar Practice), Hannah Murray (Skins, Game of Thrones), John-Luke Roberts (Spats, BBC Three Live At The Fringe), as well as Katherine Parkinson (The IT Crowd, The Bleak Old Shop of Stuff), Dave Lamb (Horrible Histories, Come Dine With Me) and Don Gilet (EastEnders, The Line of Beauty). Really enjoyed this very perceptive views on some of the common irritations of modern life. Would definitely recommend. Cheered me up on a difficult day, will be looking out for the next series. What other book might you compare Welcome to Our Village, Please Invade Carefully: Series 1 to, and why? It's tempting to compare Welcome To Our Village, Please Invade Carefully with Hitch Hiker's Guide To The Galaxy. HHGTTG would inevitably win and it is probably fair to say that parts of Welcome To Our Village are written in homage - android Ron comes to mind. Still, it's no insult to lose a comedy battle against the late, great Douglas Adams. Welcome To Our Village mostly pokes fun at the preoccupations of rural England: NIMBYism, xenophobia, cosy authoritarianism and (of course) cricket. My favourite element of the performance is Julian Rhind-Tutt's performance as the ever-so-aggressively reasonable alien leader, Field Commander Uljabaan. I was a little sorry to hear that someone else will play him in the sequel, which was recorded very recently, as Rhind-Tutt wasn't available. "They Came From Outer Space. With Spreadsheets." Some have pointed out that the laugh track is a little too loud and can be distracting. In some parts this is unfortunately true. The show is recorded in front of a live audience, so at least it isn't canned laughter. Yes you're welcome to the village. What could Eddie Robson have done to make this a more enjoyable book for you? Performance was fine story was however repetious and predictable. If you could play editor, what scene or scenes would you have cut from Welcome to Our Village, Please Invade Carefully: Series 1? An attractive premise but with humour so mild you felt you had to check it was there. Loved actors and voices hated script. 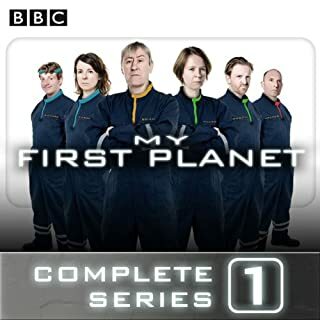 Sorry I bought second series with first. What made the experience of listening to Welcome to Our Village, Please Invade Carefully: Series 1 the most enjoyable? A well characterised funny story, well voiced and stands out from the usual in that, the invaded village welcomes the rather inept alien intrusion. I liked the way that that each chapter builds on the story while standing on it's own as an individual episode. There is a fine ensemble cast with stand out performances from the veterans Peter Davidson & Jan Francis. 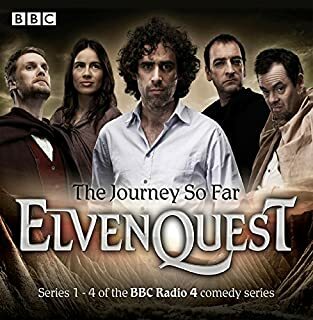 In the end I was sorry when this very funny series came to an end particularly as there does not seem to be a second series in the pipeline. Would you try another book written by Eddie Robson or narrated by the narrators? Maybe - but it wouldn't be top of my list. 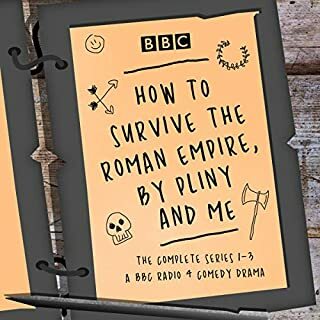 The dramatisation was good, but the underlying story let it down a bit (but I might be a little bit mean - perhaps it will improve if I re-listen to it again). Would you be willing to try another book from Eddie Robson? Why or why not? Maybe - but it wouldn't be top of my list. 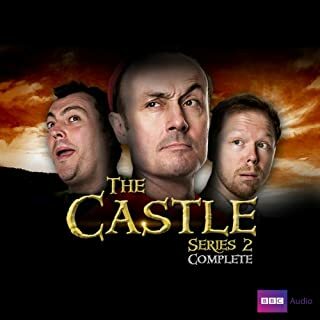 I've already reviewed the second series, but felt I should come back and review the first. It's where people would look when choosing to buy this audiobook or not, after all. Are you currently making that decision? Then I have one word of advice for you. "Do!". 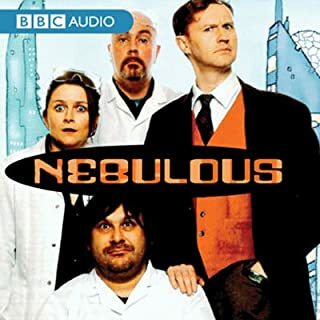 How is this little BBC gem not a huge global mega-hit? It's just superb. 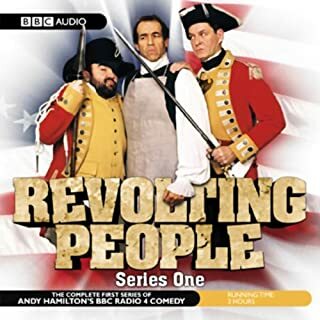 For a little-known series of half-hour episodes, it really punches above its weight. Well written, well acted, and very, very funny. The characters are likeable, and the world they inhabit is engaging. More of this, please, BBC. Want to return it, didn't like it! Thought it was awful, want to return it but I don't know how. Please can I change it. Light radio SF, very pleasant. Two younger female roles might need a bit more differentiation in pitch, but great cast. I've listened to both series and really enjoyed them. They're funny and well acted, a great listen while in rush hour traffic. The performances were great, I laughed out loud a few times. It's a tie between Lucy and the Computer, they're easily the funniest characters. I didn't but could have. 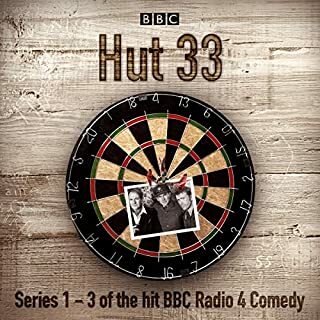 This is one of my favorite radio comedy series and am hoping for a 3rd series. If you could sum up Welcome to Our Village, Please Invade Carefully: Series 1 in three words, what would they be? The invaders were often flumoxed by the way we do things here on Earth. I think I liked the computer the best. It tried so hard to be helpful. I thought it was very funny. I enjoyed the variety of stories. This is just overall a cool series!! If you like rollicking, witty comedies, sci-fi, madeup technobabble, and are amused by the quirks of English country-life — this is a radio programme for you. Julian Rhind-Tutt is magnificent as an invading alien hiding in plain sight. You can feel his mischievous, glee when delivering the lines. You might notice that Katrina Lyons sounds different in the first episode, where she's voiced by Katherine Parkinson (of Doc Martin), then in the rest of the series, where she's voiced by Hattie Morahan (of Bletchley Circle) — both are excellent. Peter Davison is another particular favorite as he brings Katrina's father, Richard, to life! 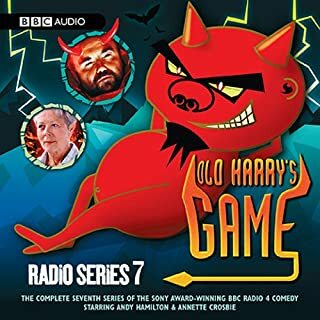 A great listen for the whole family — take it on a car trip or recreate the golden age of radio dramas at home. Needs more than two seasons! I've had this in my library for a while, but I finally had a chance to listen to it. I only wish that I had done so sooner! The cast was excellent, and every new plot by Katrina kept me wondering how Uljabaan would react to her latest attempt to get him to leave. Hannah Murray (Gilly from Game of Thrones) was fantastic as Lucy, Katrina's best friend and fellow member of the resistance. While it ended on a great not, there should definitely be more than two seasons! It's so good, that I finished both seasons in one day! I wish there were more. I have listened to these over and over. Great case of stars! Witty humor in that British way. I was looking for something like Cabin Pressure and one of the reviews said this was similar. But, it wasn't. 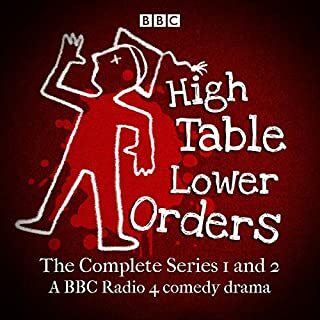 Cabin Pressure sets a high standard for laughs and characters that are unique and easy to relate to. I had to listen to this 3 times because I kept falling asleep and would go back to try to find the place I nodded off and continue from there. There were parts that weren't understandable too, not sure if it was the sound quality or British accent - but I listen to a lot of BBC stuff, so lean toward sound quality. Not getting the next in this series of Welcome to Our Village etc . . .
Not sure. The whole thing was so funny. Wish we had more comedies like this one, great character development. Great story, lots of fun. it was perfect. I wouldn't change a thing.